I always enjoy seeing what my customers make with their purchases. 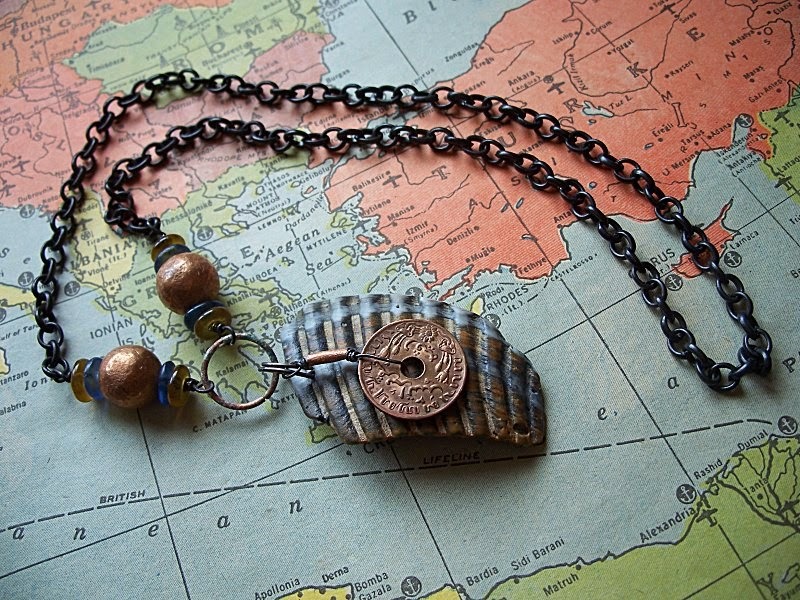 Here's a necklace by Diane Marie, on Etsy as Rustic Elegance Jewelry. 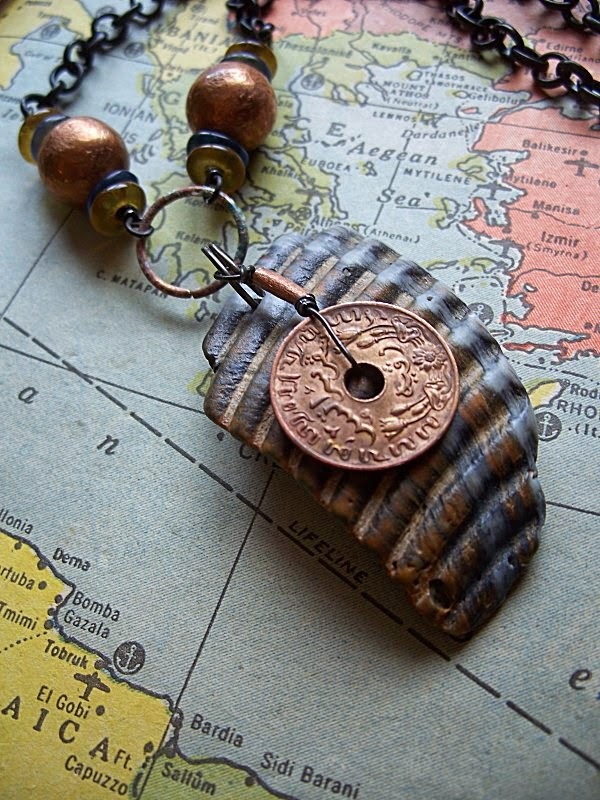 She purchased one of my copper-themed bead packs and used the Dutch East Indies coin as part of the pendant. Nice work! Looks earthy, unique, and very wearable!